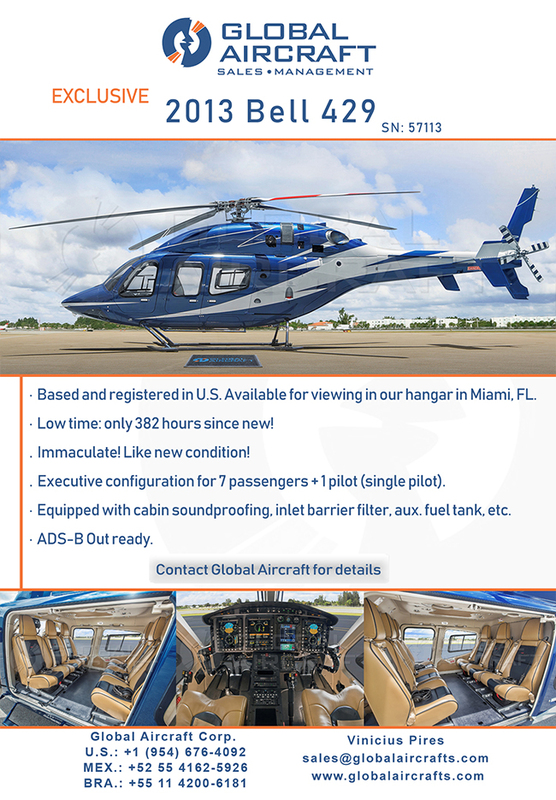 Global Aircraft | Amazing U.S based 2013 Bell 429 for sale! Amazing U.S based 2013 Bell 429 for Sale! Based and Registered in U.S.
Low time: Only 382 Hours Since New!